From the very beginning, the film does an excellent job in catching us up from the previous Finding Nemo film. (Which was 13 years ago!) It was nice to get see so many familiar faces from the past film and to be introduced to new characters in this sequel. Something you may notice that's a little different from the previous film is that it's a bit more emotionally rich. Naturally, you'll have some funny and entertaining moments, but this time around there are a few more sentimental moments. I don't think it's anything comparable to "Bambi's mom dying" level of emotional. Although, there are some moments that may cause a tiny little lump in your throat to climb up. Ellen DeGeneres is absolutely perfect for the character of Dory. 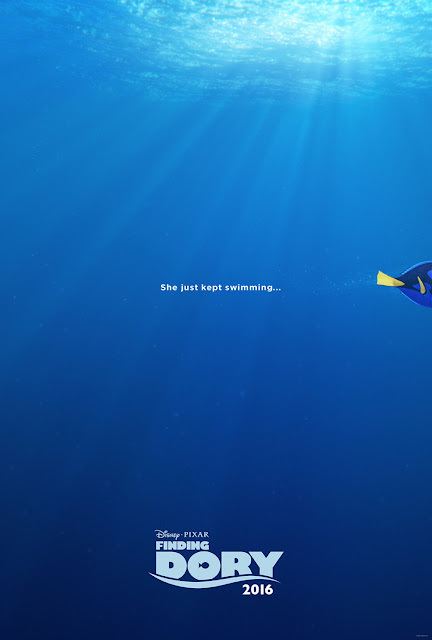 It would be simply impossible trying to imagine anyone else being Dory. Her running jokes are funny throughout the entire film. Ellen, and the writers of the movie, bring forth a lot more depth in Dory's character. She's not simply the silly side-kick character for comedic relief. They showed through her (including all of the other supporting characters) just what makes Dory such a special character. Moreover, it was especially refreshing to see yet another female lead character, but this time around it's a disabled female lead character. 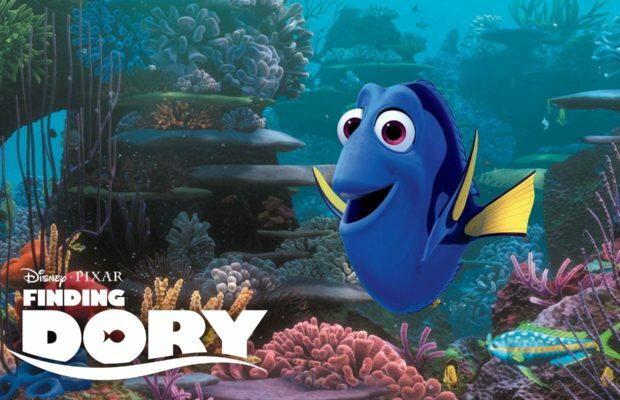 If you were like me, Dory's short-term memory used to be only perceived as comedic relief. In this sequel, while there are still funny moments, there are also moments that force you to look at disabilities (of other characters as well) in a different way. Even though the movie isn't long (only 97 mins), there still seemed to be a few slow moving scenes. Now to be fair, those scenes just set up another good or emotional moment. However, with children in mind, those slow moments may lose younger children's attention. As mentioned above, this movie is a little more emotionally heavy than Finding Nemo. There are some sad moments that may just require an additional conversation from parents with their children. It's nothing over the top, but just something to keep in mind for audiences under the age of six years old perhaps. Look, maybe this is nitpicking, (and I know that this is a kiddie cartoon) but the ending did get a little too far fetched. In comparison to Finding Nemo, even though they all go on crazy adventures, it got a little over the top even for this cartoon. Beyond that, I'd probably say feel free on skipping on the 3D for this film as well. There just didn't seem to be any memorable special effects that would warrant spending the extra money for that 3D ticket. Maybe it was just me, but the 3D glasses also seemed to make the movie a tad bit darker, and not as vibrantly colorful as the previous film. In my opinion, I think that Finding Nemo was a better movie for younger children, because it was so much more light-hearted, colorful, and energetic. I do believe that Finding Dory is a great film for kids maybe between the ages of 6-12 years. 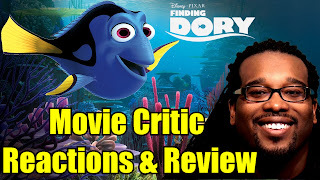 (Adults will enjoy this as well) I think that Finding Dory is a great platform to spark meaningful conversations within families about differently-abled individuals in society. This is what make movies so special. They tap into our everyday lives, and find a way to have us relate to other people in ways didn't originally imagine. So by all means, feel free to go watch Finding Dory. It's obviously a perfect family movie, and don't be surprised if you find yourself having some meaningful conversations afterwards. Oh and speaking of afterwards, stay until after the credits.